I love the zoo. I really really do. Definitely not the part where the animals are trapped… but I like to think they’re at least being treated well. I just love seeing wild animals up close! I feel like they’re all different types of pokemon– is that weird to say? Probably. Anyways, one of the things on my bucket list is to go on a safari in Africa, but until then, the zoo is the closest I’ve got! 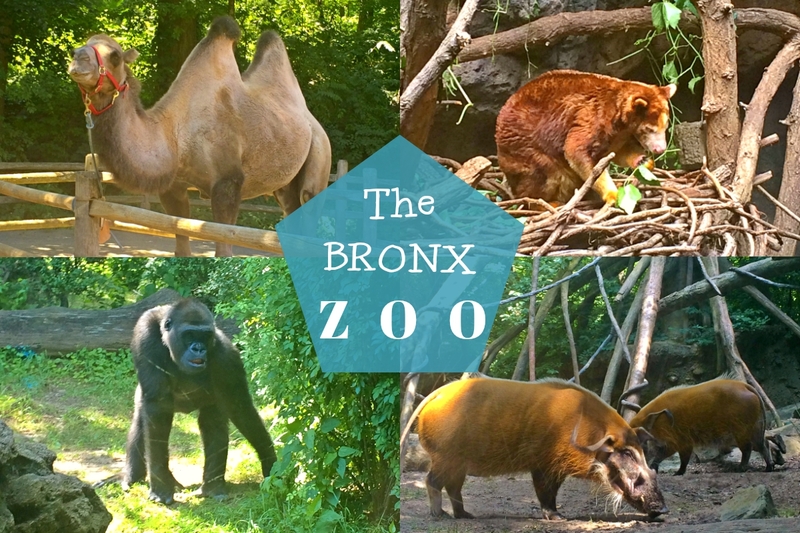 The Bronx Zoo is huge! That being said, I was not deterred from accomplishing my mission of seeing all the animals! We even took a ride on the Wild Asia Monorail around the park to get an amazing surrounding view of the natural habitats, including river banks and mud wallows, of a variety of asian deer, elephants, rhinos and giant wild cattle. A very relaxing way to take in the zoo atmosphere and roaming animals. 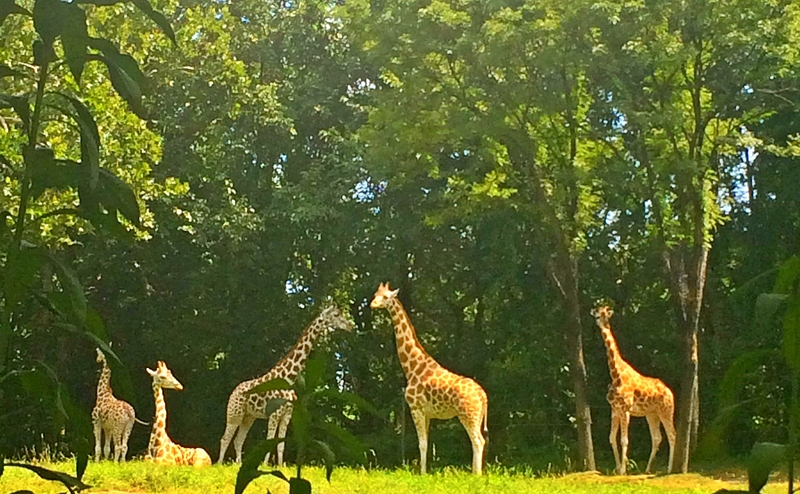 Overall, my favorite animals to see are the giraffes, elephants and pandas. Specifically red pandas. Aka Chelsea’s spirit animal. It was pretty upsetting when I found out the red pandas were “away” and weren’t at the zoo at all. In fact, I threw a little temper tantrum because I was like “where did they go?!?! ?” I mean, I do understand the concept of exhibit maintenance, but this was just not cool. Aside from the intense disappointment of not seeing my all time favorite animal, seeing the giraffes and elephants were pretty cool. They are just such large majestic creatures… it’s trippy seeing them so close up! 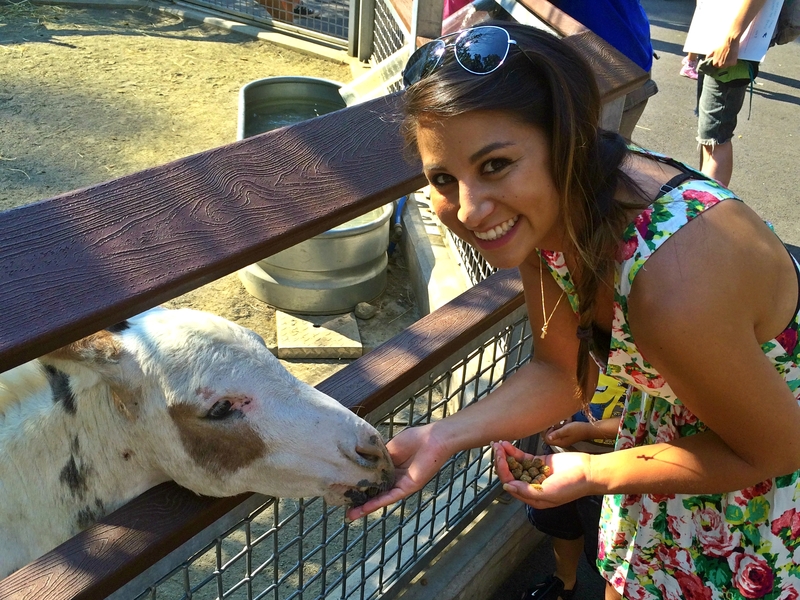 Now, the highlight of the trip was the children’s petting zoo. Yep, it wasn’t the tigers, lions or bears, but rather the goats, mini horses and lamas that did it for me. But don’t get me wrong– we absolutely saw those amazing creatures too! Ever since I was little I have always been thrilled to pet any animal. I haven’t changed. And when I realized I could just keep getting those food pellets out of the little gum ball machine– FO FREE? It was game on. 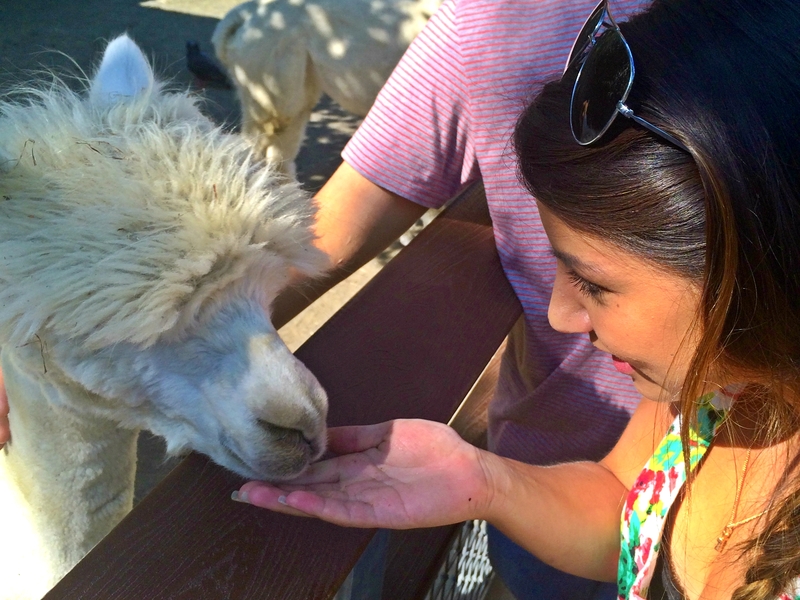 Things got a little aggressive with the goats at times and I couldn’t tell if they were actually starving or just being greedy… but the lamas were hands down my favorite to feed. They’re so goofy looking! And soft. Seeing the gorillas was a treat because the mamas all had little baby gorillas to wrestle! It was so cute and unlike any animal interaction I’ve seen in person! The gorilla babies were also playing among themselves– very entertaining and adorable! And here are some pictures of those said lions, tigers and bears (and tapirs!) 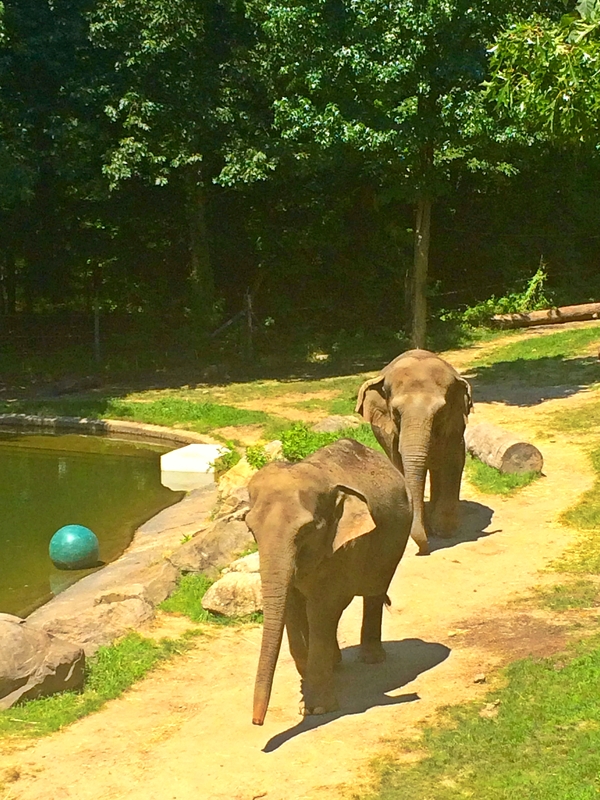 Until next time, Bronx Zoo! I’m happy you had a good time. Sorry you couldn’t see red pandas though, they’re so cute! Thanks 🙂 Yeah that was a bit of a disappointment, I just love red pandas!!! But the zoo overall was so much fun, so it was def a good day.